Internet Explorer and Chrome use the same storage location for SSL certificates on Windows. This process will install the SSL certificate for both browsers. 1. 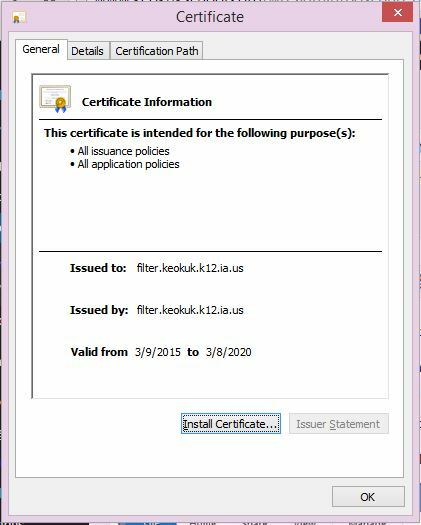 Open Internet Explorer or Chrome, and download the certificate file by navigating to filter.keokuk.k12.ia.us.crt. You may see dialog boxes as shown below, depending on your browser settings. Otherwise, the file will download into the default download directory. 2. Click the Open Folder button, or open the folder where the certificate file was downloaded. 3. Double-click the certificate file to start the SSL certificate installation wizard. Click Open if you see an “Open File – Security Warning” screen. 4. A certificate window will appear. Click Install Certificate. 5. 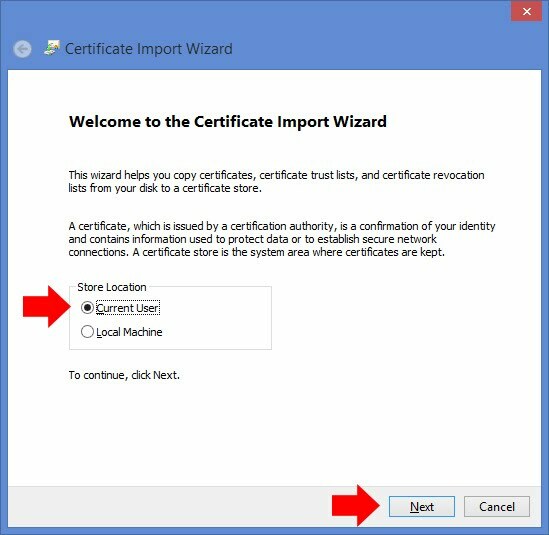 The Certificate Import Wizard screen will appear. Leave the current user button selected, and click Next. 6. 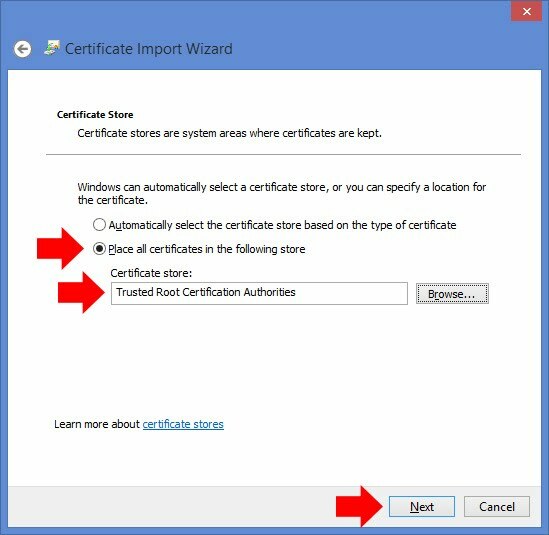 On the “Certificate Store” screen, select “Place all certificates in the following store”. Click the Browse button and select “Trusted Root Certificate Authorities”. Click Next. 7. 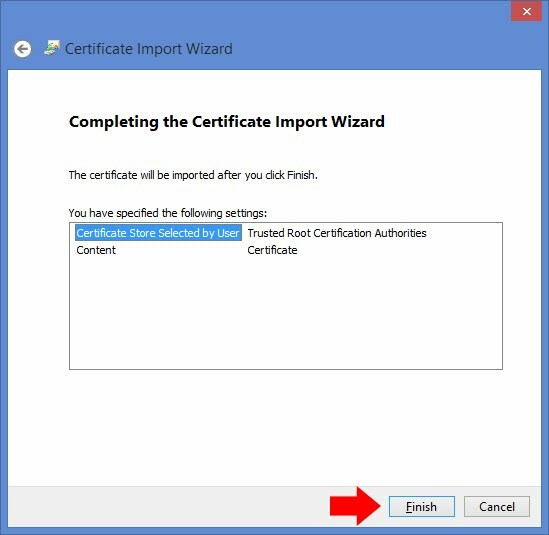 On the “Completing the Certificate Import Wizard” screen, click Finish.